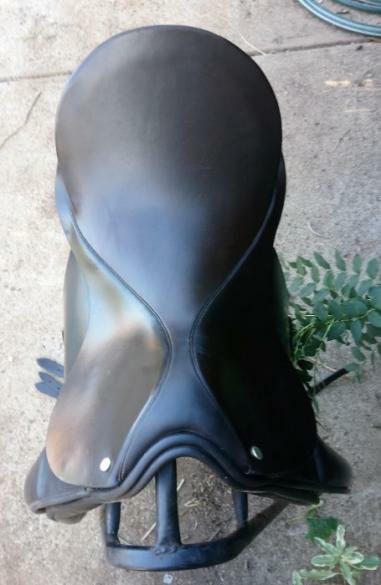 17.5" brown old style (1987) County saddle with a no 3 or medium gullet. 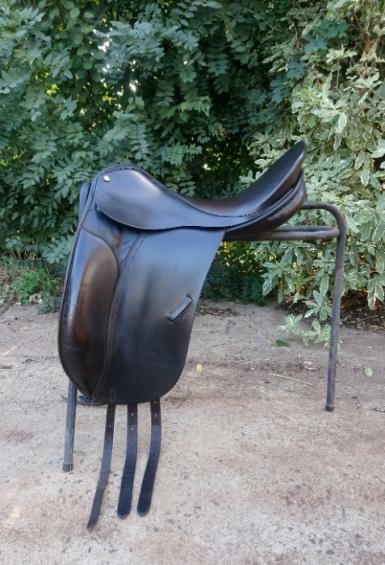 Features wooden spring tree that provides a very close contact with your horse, extra deep seat, pencil knee rolls and wide channel. 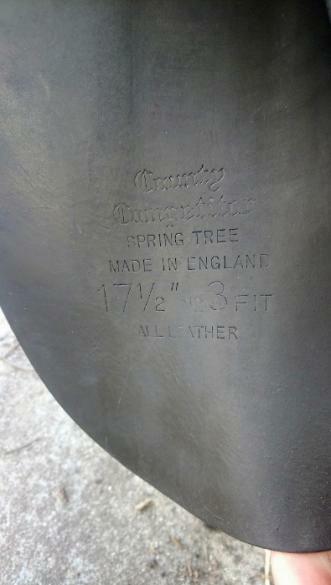 Made in England with top quality leather -that kind that is no longer around-. 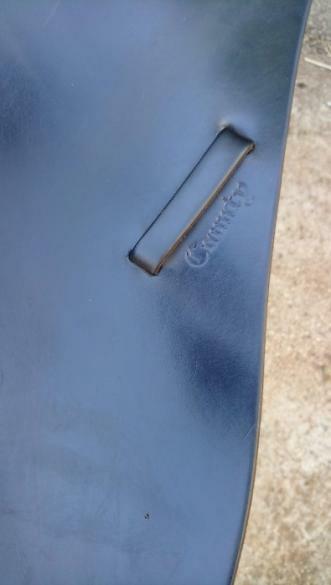 Suited to horses such as thoroughbreds with a good wither and curve in the back. Seat and skirt replaced by Mal Byrne (which cost a fair chunk of the asking price.) 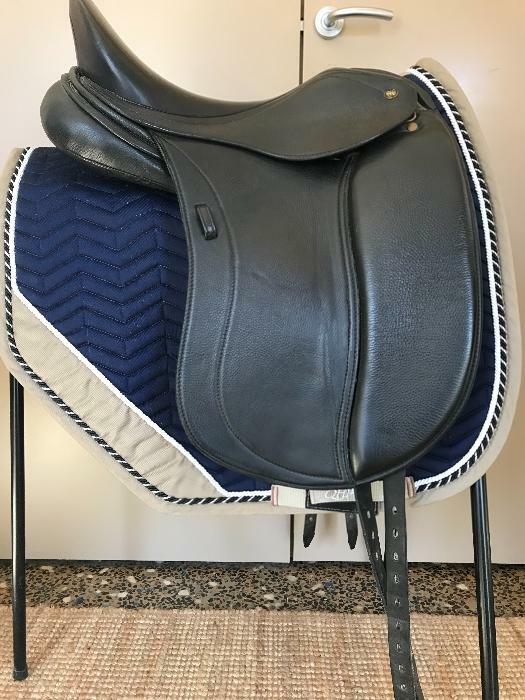 A beautiful saddle with butter soft leather, has been my favourite (and others who have ridden in it) for many years. In excellent condition and made to last a lifetime (or two!) 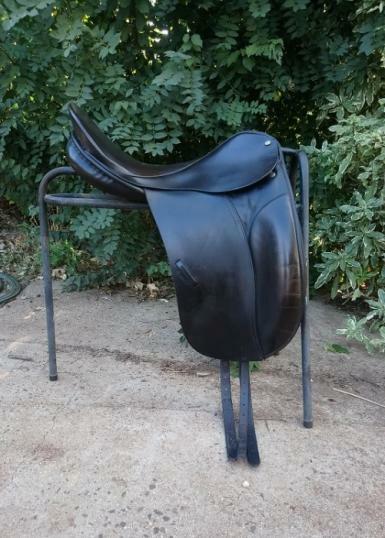 Comes with brown full size work bridle (top quality full size Carrington show bridle in other listing). Can post with insurance if required.